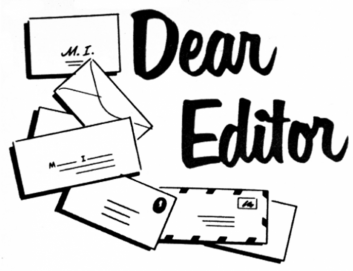 Stabroek News welcomes letters on topics of general interest via email or post. However, we strongly encourage submissions by email. Letters for publication should carry a valid name, full address (street or village names alone are not accepted) and a phone number where the author(s) can be contacted. Contact information is for verification purposes only and we will not share it publicly. In the case of letters which come in hard copy, we ask for a signature. We will withhold a name on request, but we do not like to publish pseudonyms. We will not usually carry a letter which has already appeared in another newspaper, neither will we normally publish anything which is unduly lengthy. We also routinely edit for libel, grammar, prolixity, coherence, repetition, expression, etc.